Iran sanctions lifted after Tehran complies with nuclear deal. 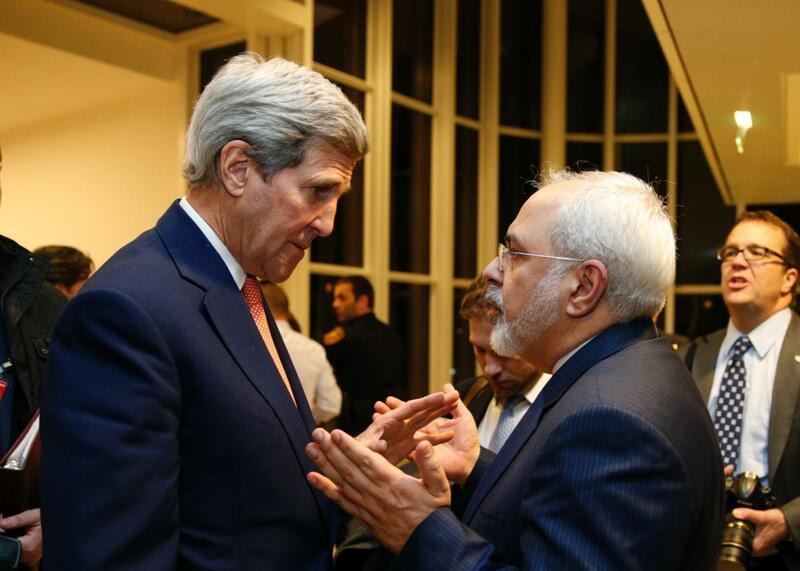 U.S. Secretary of State John Kerry speaks with Iranian Foreign Minister Mohammad Javad Zarif in Vienna on Jan. 16, 2016. The lifting of sanctions came mere hours after Iran released five U.S. citizens it had been holding as prisoners, including Washington Post reporter Jason Rezaian. As part of the swap, President Obama pardoned three Iranian Americans and prosecutors dropped charges against four others. “Together, the lifting of sanctions and the prisoner deal considerably reduce the hostility between Tehran and Washington that has shaped the Middle East since Iran’s Islamic Revolution of 1979,” notes Reuters. #ImplementationDay--I thank God for this blessing & bow to the greatness of the patient nation of Iran. Congrats on this glorious victory! Although European companies will now be able to do business with Iran freely, U.S. firms will still be largely left out of the market. The agreement lifts nuclear-related sanctions, but “it doesn’t touch the sweeping ban on U.S. trade and investment with Iran put in place by the Clinton administration in 1995,” notes the Guardian.